Nonsuch Bay Resort sits on the east coast of Antigua, within forty acres of lush, tropical landscape and surrounded by the sea on three sides. The all-inclusive resort is located at the head of the bay which is a protected haven with two square miles of calm waters behind the barrier reef lying off Green and Little Bird Islands. Its private beach makes it a perfect choice for families and couples, while the excellent water sports centre appeals to those in search of activity. Accommodation at Nonsuch Bay Resort is split between four distinct areas, with most options featuring verandas and fully-equipped kitchens which allow guests to dine in their room. On the east side, apartments and Beach Cottages are nestled in an eight acre, natural amphitheatre where the clubhouse, resort beach and boat dock are also found. On the west side, Ayers Creek Residences all have private plunge pools and three bedrooms. From the ridge line between these two areas, there are three and five bedroom Hilltop Villas - each with a private pool and commanding spectacular views over the bay. A new option for 2019 is the Couples Only Pool Suite, located on the northwest side of the resort facing the waterfront of Ayers Creek. These suites are within a new couples-only section of the resort with its own restaurant and lobby, each with a private plunge pool. Stays at Nonsuch Bay are on an all-inclusive basis, with an open air restaurant overlooking the beach which serves buffet breakfast and lunch and a la carte dinner. Cuisine at ‘The Bay @ Nonsuch’ is varied with an excellent selection of local seafood and other dishes. Facilities at Nonsuch Bay Resort include three infinity pools and an excellent water sports centre - Kite surfing, windsurfing and stand-up paddle boarding are some of the activities on offer at the 40Knot School. The sailing school is a highlight of the resort and has a large flotilla of dinghies and hosts dinghy and keelboat races. A wide range of water sports are complimentary as part of the all-inclusive package, such as use of the resort's sailboats and kayaks, group sailing tuition for children and adults, and regular snorkelling trips. Kitesurfing, windsurfing and stand up paddle board rentail is chargeable. Childcare is available each morning and afternoon. The children's programme includes complimentary age-specific activities for youngsters aged 5 to 12 year olds, with babysitting available for those aged up to 4 years old at an additional charge. The concierge team is happy to arrange fishing trips, yacht charters and a variety of excursions. Nonsuch Bay Resort is only a 20 minute drive from the lively marinas, bars and restaurants of Falmouth and English Harbour as well as the historic Nelson’s Dockyard. The resort runs complimentary boat trips to nearby Green Island three times per week - while on the uninhabited island, guests can snokel from the secluded sandy beaches and spot turtles, stingrays and reef fish. On arrival at Nonsuch Bay I instantly loved the beautiful views from the reception out across the bay - the surrounding areas really are very green and pretty. Whilst the beach is small, it's sheltered and sandy with a great selection of watersports on offer including kite surfing, hobie cats and wind surfing to name a few. The all-inclusive concept here is great value for money as the suites really are spacious and well equipped. For families or groups of friends travelling together it really is a great option with 1, 2 and 3 bedroom suites available. I loved the premium beachfront suites as the views from the wraparound verandas, located just steps from the beach, are worth the extra cost. The complimentary excursion offered to Green Island was a lovely touch and well worth joining - there is nothing quite like taking a RIB to a deserted island and being left there alone with just a snorkel for a couple of hours - a real Robinson Crusoe experience! I love Nonsuch Bay and feel it's really well suited to families and groups of friends looking to relax, kick back and enjoy the lovely accommodation and take part in the wide variety of watersports on offer - the perfect Caribbean retreat! 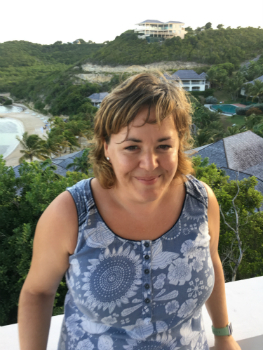 For more information about Nonsuch Bay or alternative resorts, take a look at Karen's Antigua Trip Diary.